The reigning Euroleague champions are at home on Thursday night and the phrase “must win game” barely does this tie justice. The Spanish giants are sitting with a 2-5 record and are second bottom of the group, one place outside of the qualification spots for the Top 16. A home defeat would be unthinkable on Thursday but on current form, would you bet against it? Madrid come into this game knowing that they defeated Fenerbahce in the semi-final of last season’s Final Four. Everything seemed brilliant for Madrid at that time with the 96-86 win paving the way for the Spanish team to triumph in the final match. Gustavo Ayon and Sergio Lull were the key players in that game and Real Madrid will be desperate for these players to deliver the magic that we all know that they can. Llull is the top scorer in the season so far for Madrid, averaging 13.6 points per game, but the fall of Real Madrid so far this season has been one of the tales of European sport in recent months. Will Fenerbahce be fired up for this clash in Madrid? 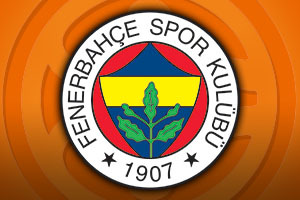 Fenerbahce can head to Madrid in confidence and in a relaxed mood. After all, the Turkish side already has a place in the Top 16 sewn up and with a 6-1 record; they don’t need to look back at the challengers below them. This could work in Madrid’s favour but surely the team from Istanbul know that a win could seriously dent Madrid’s chances of progression in the tournament. It may be better to knock out Madrid now while you can as opposed to facing them later on in the season when they would surely improve? A lot will depend on the attitude of the Turkish side in this game. The bookmakers make the Madrid side heavy favourites for this game, but Madrid’s form doesn’t deserve that status. 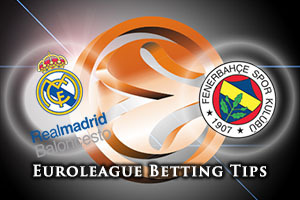 Take Fenerbahce Istanbul at +6, at odds of 1.90, on Thursday night. If you are interested in the Over/Under market, look to go UNDER 159.5 at odds of 1.90. Bet Now!